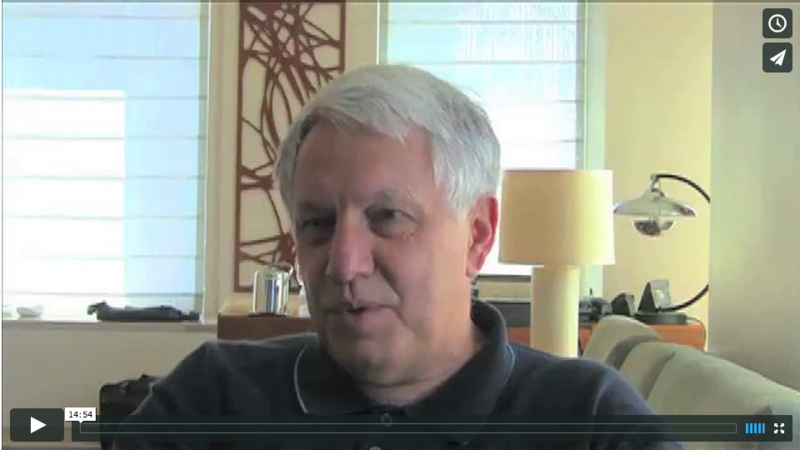 Alan Guth, a charter member of the Reality Club, came to New York in 1980, to give one of the first Reality Club talks. He presented his new theory on the early universe, which he had been working on for the past couple of years and had described earlier that year in a paper titled "The Inflationary Universe: A Possible Solution to the Horizon and Flatness Problems." It was a revolution in our understanding of the universe—a new theory that filled in the blanks left by earlier versions of the Big Bang theory. 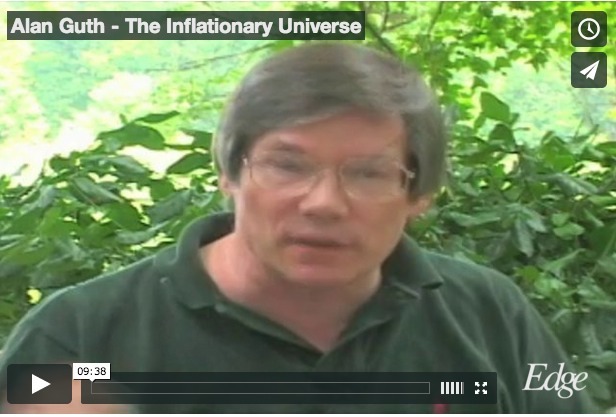 A few years later, Andrei Linde developed a version of Guth’s theory he refers to as Eternal Chaotic Inflation, which is now the most popular version of inflation. Some thirty years later, I'm sitting in a hotel in Vancouver reading the news about what might turn out to be the most important scientific discovery of my lifetime: a possible direct confirmation of Guth's ideas. Using a radio telescope at the South Pole, John M. Kovac and his team of astronomers were able to glimpse the very early universe—capturing traces of light from 13.8 billion years ago. If their data are accurate, Guth was right. Edge contributor and New York Times deputy science editor Dennis Overbye wrote about the developments in a story on the front page of Tuesday's New York Times: "...Inflation has been the workhorse of cosmology for 35 years, though many, including Dr. Guth, wondered whether it could ever be proved. ... If corroborated, Dr. Kovac’s work will stand as a landmark in science comparable to the recent discovery of dark energy pushing the universe apart, or of the Big Bang itself. It would open vast realms of time and space and energy to science and speculation." How important is this development? MIT cosmologist Max Tegmark is quoted by Overbye as saying, "I think that if this stays true, it will go down as one of the greatest discoveries in the history of science." According to mathematical physicist Brian Greene, "If the results stand, they are a landmark discovery." Physicist Lawrence Krauss of Arizona State University, in a post on newyorker.com, wrote, "At rare moments in scientific history, a new window on the universe opens up that changes everything. Today was quite possibly such a day." 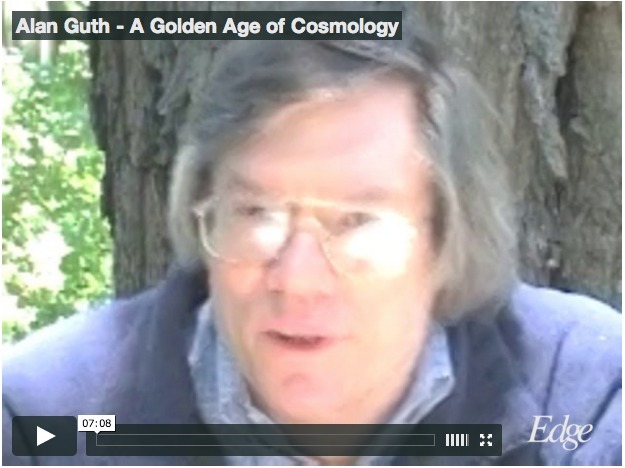 But nothing is more prescient than Guth's own talks from two Edge Eastover Farm events, in 2001 ("A Golden Age of Cosmology") and 2002 ("The Inflationary Universe"), and Linde's Edge interview in 2012 ("A Balloon Producing Balloons, Producing Balloons: a Big Fractal"). Continue below for EdgeVideo and texts. Paul Steinhardt did a very good job of presenting the case for the cyclic universe. I'm going to describe the conventional consensus model upon which he was trying to say that the cyclic model is an improvement. I agree with what Paul said at the end of his talk about comparing these two models; it is yet to be seen which one works. But there are two grounds for comparing them. One is that in both cases the theory needs to be better developed. This is more true for the cyclic model, where one has the issue of what happens when branes collide. The cyclic theory could die when that problem finally gets solved definitively. Secondly, there is, of course, the observational comparison of the gravitational wave predictions of the two models.